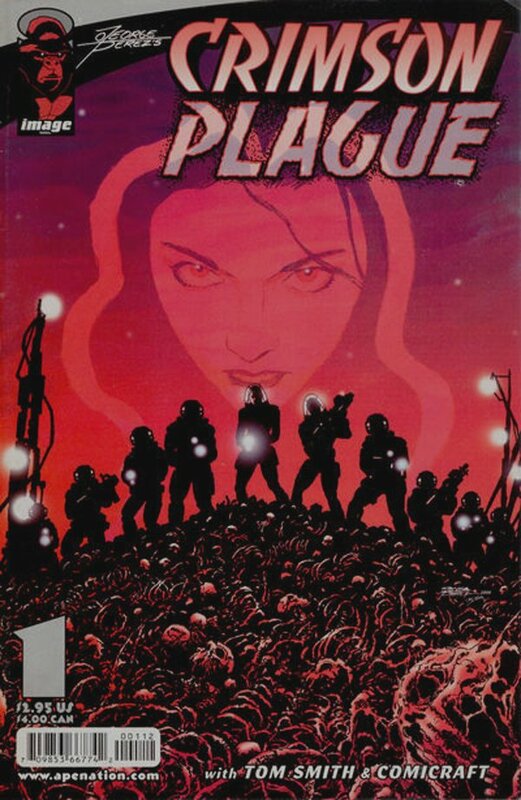 Click Here To See Crimson Plague #1 Comic Book! 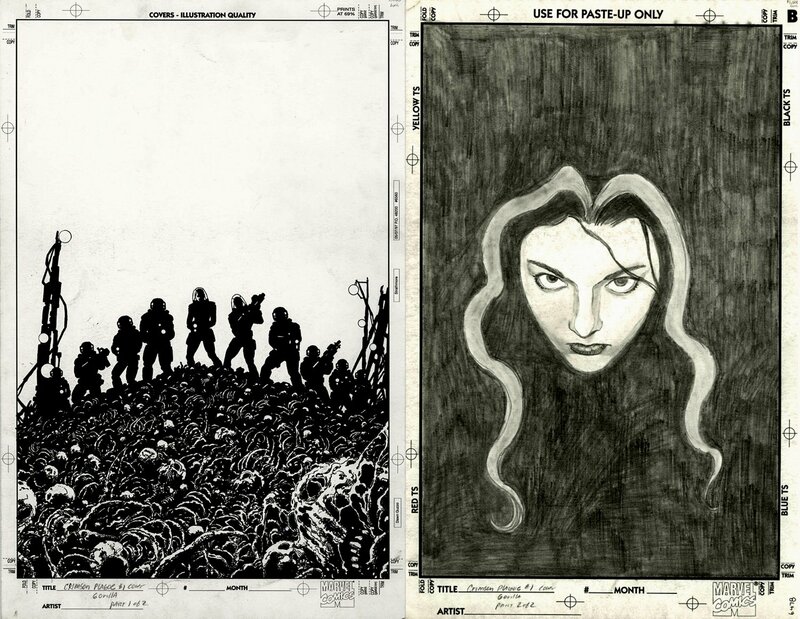 Check out this very nice FIRST ISSUE "IMAGE" cover, which was penciled and inked by the great George Perez, from the story titled: "Dead Moon Party" This nice cover was executed on 2 boards each measuring 11 by 17 inches, one that features pure pencils and the other a fully inked cover, for this great FIRST ISSUE! Just a great cover which features the entire 9 member group of DiNA: Simmons! High quality covers by artists like George Perez are very collectible and increasingly difficult to locate. Compare this nice cover art to the published comic book in the red link above! ALL art on our website (including this one) are able to be purchased with VERY fair time payments, and trades are always considered towards "ANY" art on our website! Just send us an email to mikeburkey@aol.com and we can try to work something out.